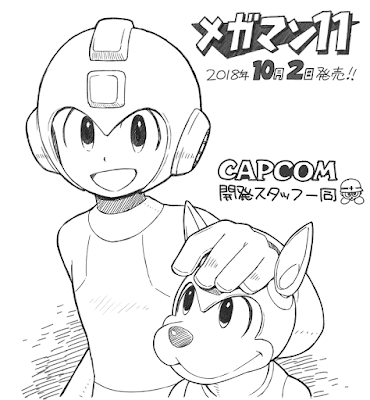 Rockman Corner: Mega Man 11 Is Finally Here! It's been a wild eight years of being a fan to say the least. I just wanna say thank you Protodude, for many of use you keep our interest in Mega Man up by supplying the news and giving your informed opinion. I look forward to seeing what the next eight years looks like as a Mega Man fan. Excitedly awating the PC release. Can't wait to finally play an actual new Mega Man game that brings something new to the table. Days like today are THE BEST. Hooray!! Can't wait to play it later today. Thanks for always making Rockman Corner so much fun to visit. Finished the first stage and then. 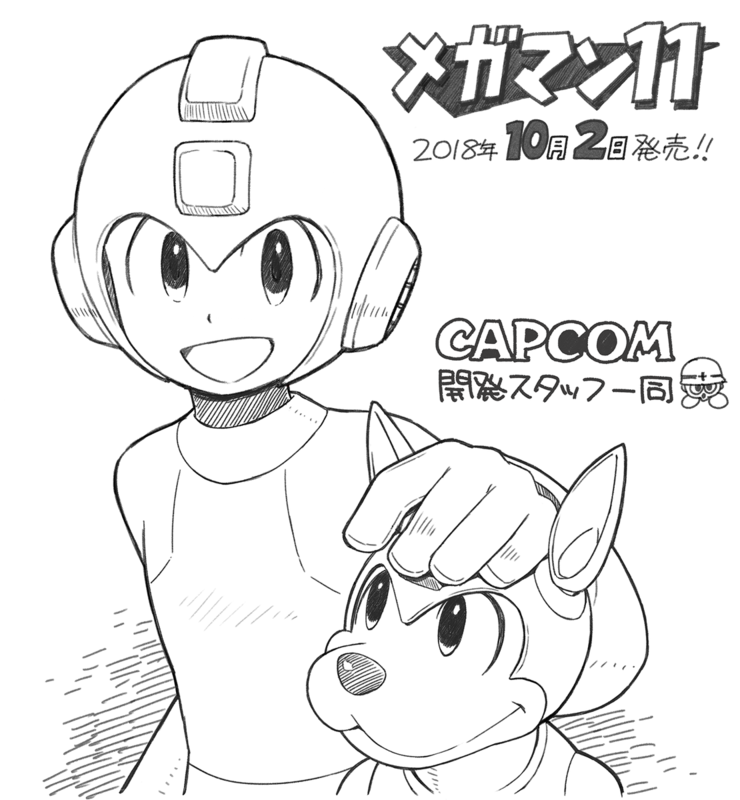 I wish you the best Mega Man, Protodude, Mega Man 11 is great it's relatively affordable I hope for great success for bigger and better things in the future (I don't expect it, but I hope for it). If you like the game BUY IT, PLAY IT, PROMOTE IT. If you do overall like the game this is no time for pronouncing petty criticisms (pointing them out is fine) that stuff works for games with confident backing by corporations and markets. This is the chance to show that Mega Man is THE premier action platformer Capcom can muster and that it is worth investing in. Well this isn't an example of a premier platforming game and your hesitation to criticism is as toxic as anything that could happen to this series. The last thing we need for this franchise is for Mega Man 12 to be worse than this game is, somehow. I've completed 1-10, X1-X8/CM, Z1-Z4, ZX, BN1-6, but Mega Man 11 is sheer tedium and awful at conveyance. Those balloons aren't platforms, this offscreen enemy shot, that floor does hurt, this stage obstacle -shouldn't- cause collision damage without the other mechanism in place but does anyhow, this block is might or might not damage you and why don't you find out while the floor is disappearing -- Mega Man 11 is shoddy. I said if you like the game and think it is overwhelmingly good then focus on that and promote that, I did not say if you hate the game and find that it is pushing the series in a bad direction than to keep you criticisms to yourself. I even made it a point to say it's OK to mention it's flaws for feedback, just not to make that the focal point, again IF you mostly like the game. If you have massive issues with the game and hate it by all means sound off, sound off anyway regardless if you want, my words are just advice I think would benefit the brand and community not divine law. But of course there is going to be someone taking umbrage with my positive message as if I threatened they're almighty right to complain...from a Mega Man site. I expect no less. ^There's always that one guy who has to kill the happy mood in the room. maybe he just like it, or like what of it he have played so far. i personally do, and have yet to experience the problems you're mentioning. Just because he don't formule the same complain that you do about the game does'nt mean that it's out of unwillingness to criticize it. Again, it's fine if you, on the other hand find something to criticize, as long as it's in a polite and constructive manner. Yellow devil mk3 is badass!!! So, opinions....is the Switch or PS4 version better? I played the demo on my switch and when I had the JoyCons detached, I had random massive input lag. I would say it's a switch issue, but I don't see it in other games like this. I have the CE for Switch but it kind of makes me want to trade out for a PS4 copy.